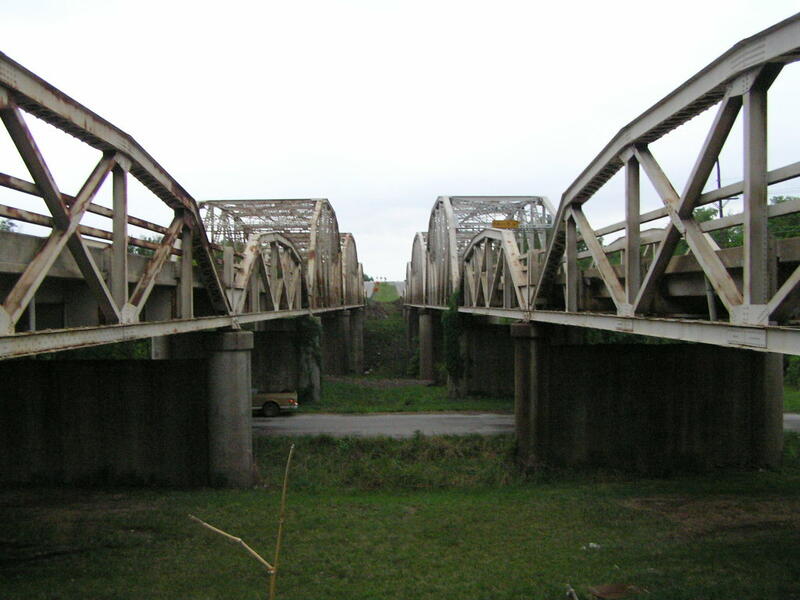 There are actually two bridges here, both built at different times. 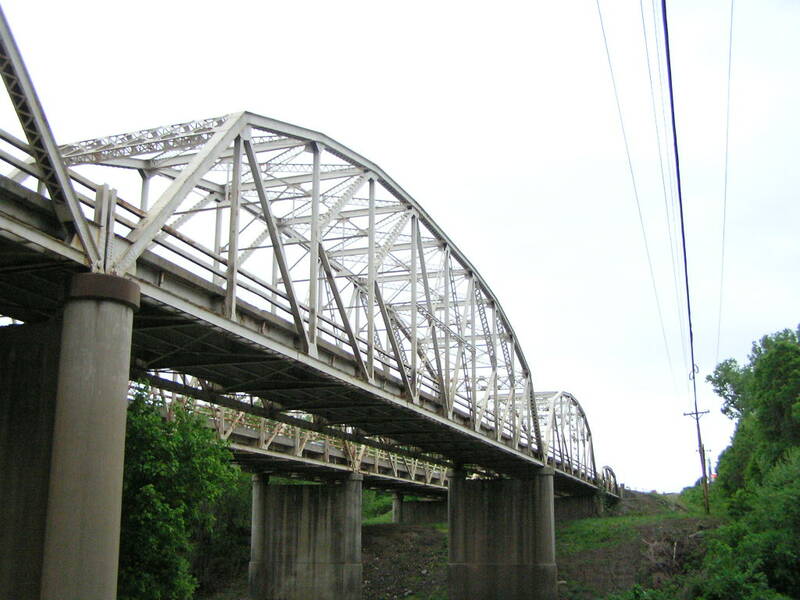 One bridge was built in 1936 and the other in 1956. Both were built by M. E. Gillioz. 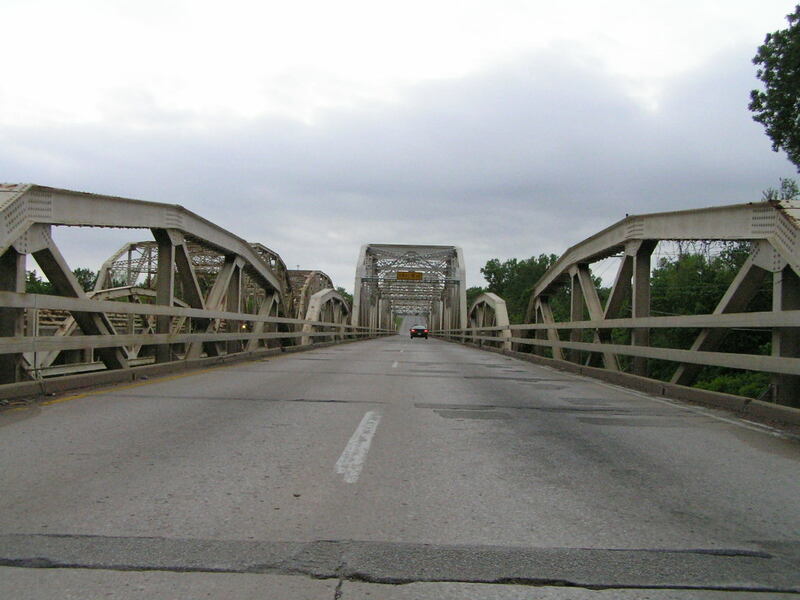 Above, the westbound bridge, built in 1936. From east to west the spans are: two 100-foot Parker pony truss, 160-foot K-truss, 210-foot combination Parker/K truss, 140-foot K-truss, and a 100-foot Parker pony span. 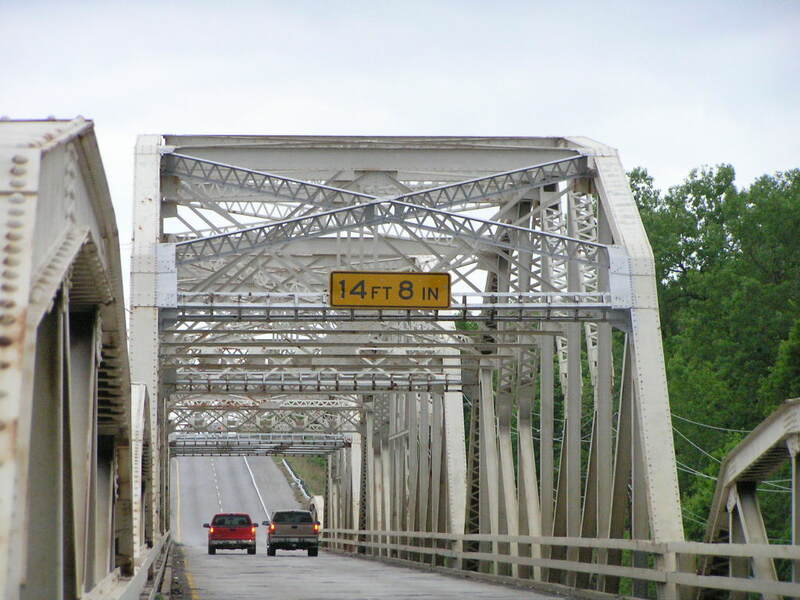 Although it looks very narrow compared to its companion, the east bound bridge, the deck is a full 24 feet wide, the width of two standard driving lanes. below, a view looking west through the eastbound bridge. The spans in this bridge are exactly the same as in the west bound bridge, so I will not list them again. However, this bridge does have a wider deck, 29 feet between curbs, and the deck appears to be newer. 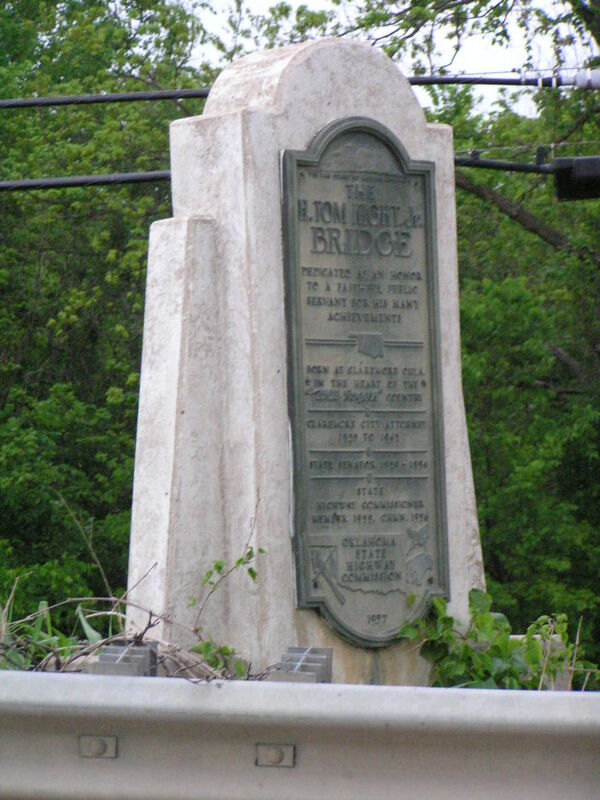 Many people do not realize that this bridge was named in 1957 as the H. Tom Night Jr. Bridge. Below, close-up on the thru spans and the portal of the first thru span. Note that in the first and last thru spans, the portals have been replaced. The big 210-foot center span, because it is so much larger, has a much deeper truss and higher clearance. These are all standard design spans. Above, looking west between the two bridges. 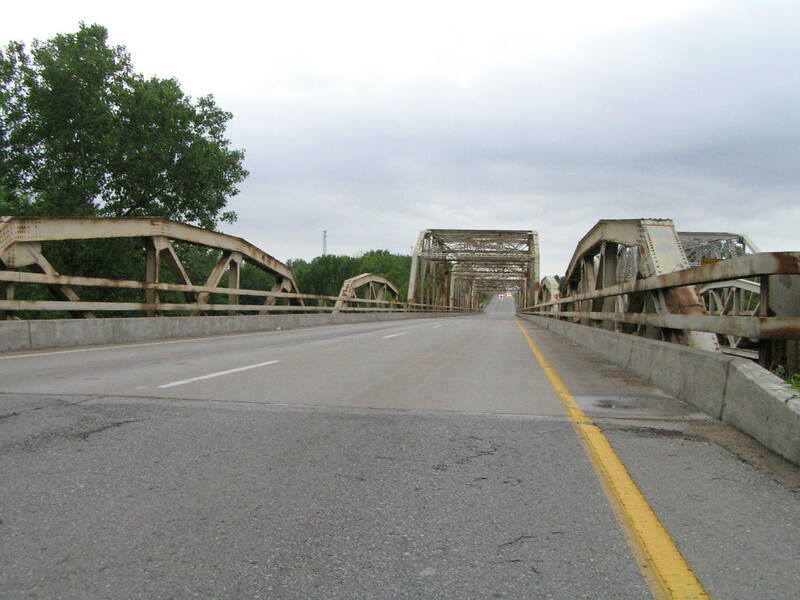 Because the eastbound bridge (on the left) is wider, the floor beams are deeper and the deck is slightly higher above the lower chord. Above, the 210-foot mainspan on the westbound bridge. 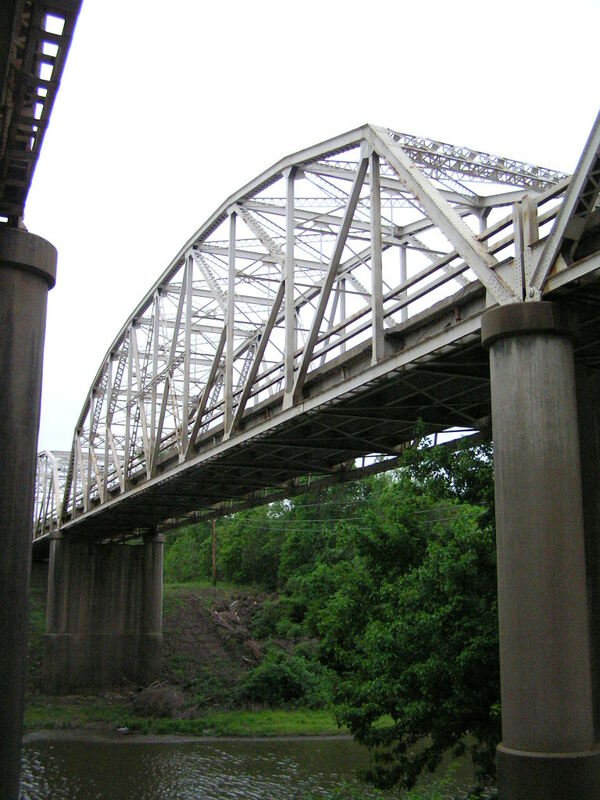 Below, the 210-foot mainspan of the eastbound bridge. 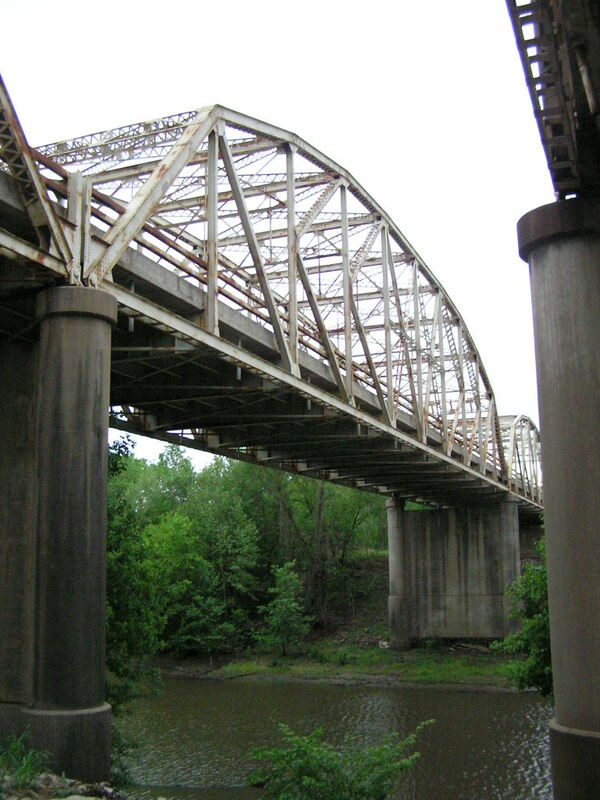 Above, another view of the westbound bridge. In this view the 140-foot span can be more clearly seen. It is very nice to have two bridges, 2 decades apart, right next to each other.